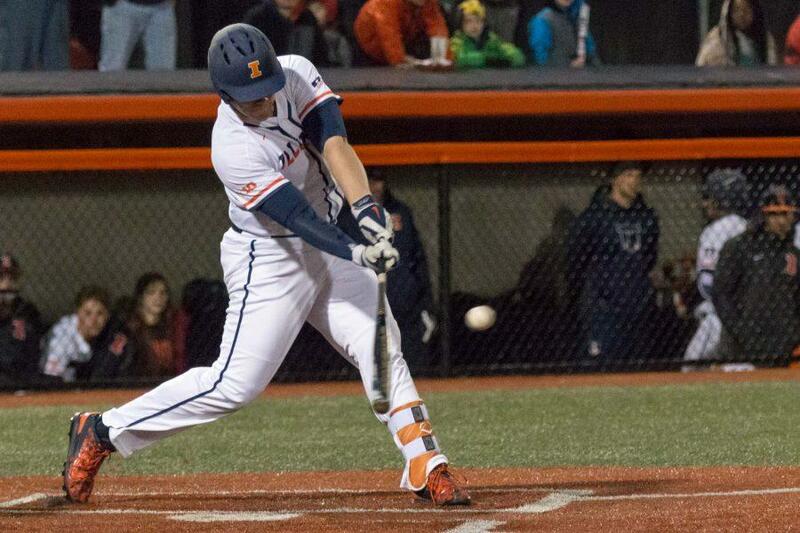 Illinois' Luke Shilling hits a double down the right field line scoring Pat McInerney in the game against Eastern Illinois at Illini Field on Tuesday, April 5. 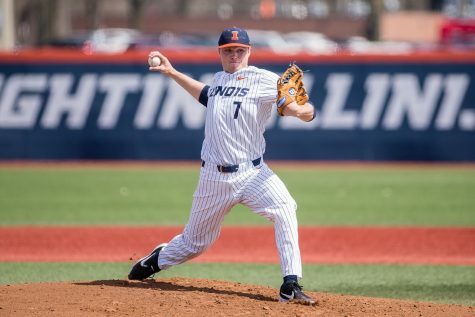 The Illini won 9-7. 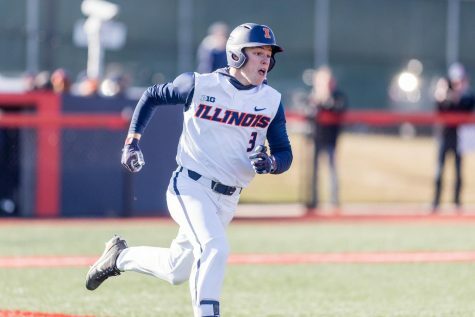 In its first three weekends of the season, the Illinois baseball team has traveled more than 3,100 miles to those three cities. Getting comfortable as a young team is difficult. 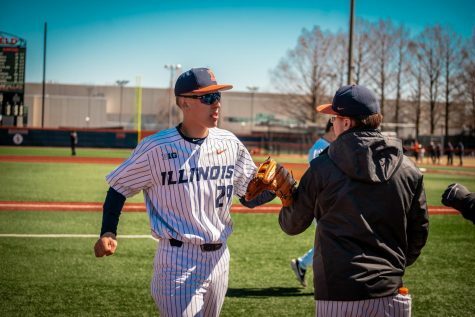 However, adding in the fact that the Illini have traveled all those miles in just three weekends, it makes more sense that the team has gotten off to a slow start. The team is now 3-7 overall and has lost four out of its last 5 games with a total run differential of 22 runs. 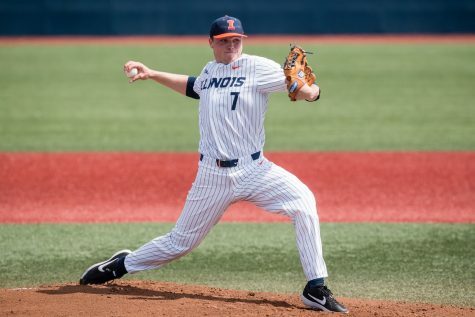 Illinois’ pitching staff has continued to disappoint, as it allowed 31 earned runs on the weekend — adding up to just over 10 earned runs per game. Friday and Sunday starters Luke Shilling and Ryan Thompson, respectively, combined for six innings pitched, while allowing 14 earned runs and eight walks. Head coach Dan Hartleb said that falling behind in the count and walking batters have been two of the biggest issues for the pitching staff. 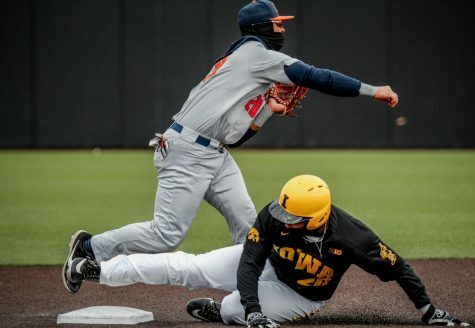 Pitching has clearly been the team’s weak spot so far, but despite its struggles, there were some bright spots from the weekend. 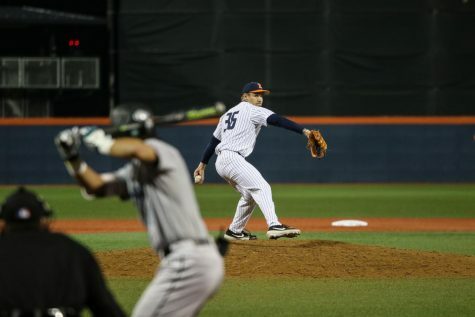 Freshman righty Ty Weber threw six innings in his Saturday start — striking out four batters and allowing one run. It was his third career start (first win), and Hartleb liked the adjustments he has made so far this year. Other notable pitching performances came from Cole Bellair throwing two shutout innings in relief and Ryan Schmitt throwing one shutout inning in his only appearance this weekend. Aside from its defensive numbers, the team has been performing pretty well. 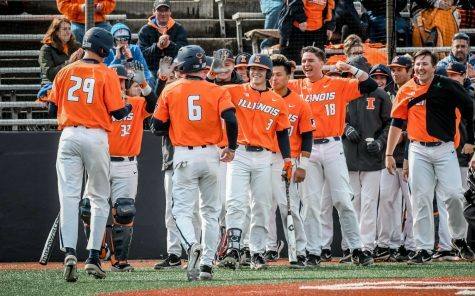 This weekend, the Illini offense averaged just over eight runs per game and had 17 extra-base hits — including 10 home runs. 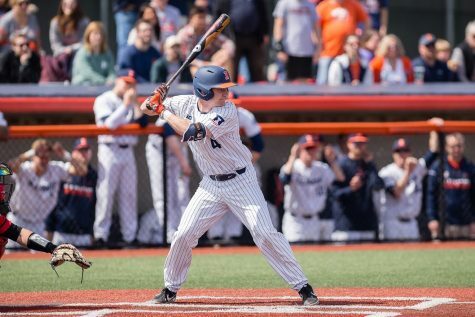 The trend of underclassmen carrying the offense has also continued, as sophomores Jack Yalowitz, Doran Turchin and David Craan combined to hit seven of the teams 10 home runs on the weekend. The trio knocked in 11 RBIs and combined to go 12-35 on the weekend (.343). Hartleb said that the biggest reason the group has performed so well at the plate is the way they have made adjustments. 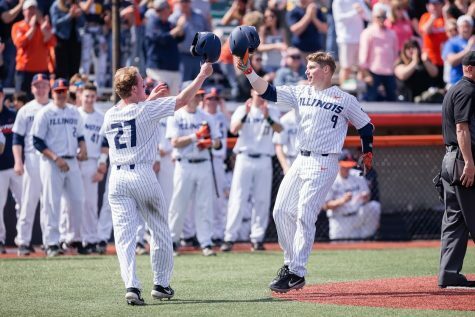 Though the team has struggled thus far, it is not all bad for the Illini. Hartleb said that he saw a lot of improvement defensively, and that he is happy with the offensive output so far. 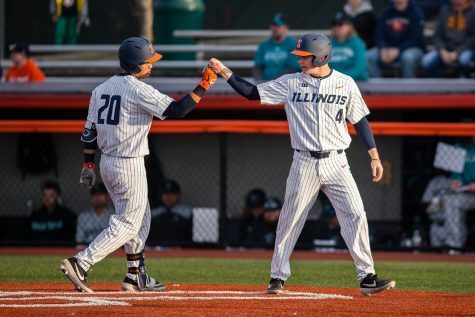 The Illini will have all week to make those adjustments, as they are off until they hit the road again for a series with the defending national champions — Coastal Carolina — in Conway, South Carolina.